General. 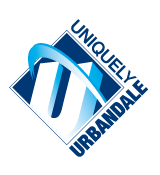 It is the policy of the Board of Directors of the UrbandaleCommunity School District to protect the rights of each student and to promote the welfare of all students simultaneously. Each student has the opportunity to use school as a means for individual growth and self-improvement. However, each student also has the duty to conduct himself/herself in such a manner as to assure other students the same opportunities. Purpose. Policies in this Article and related administrative rules and regulations are adopted to aid in providing high quality experiences for students in all educational programs and activities and to assist students to become useful and productive citizens as adults. Delegation. It is the policy of the Board of Directors to delegate to the licensed staff, under the leadership of the administrative staff, decisions regarding student matters, except as may be specifically limited by Board policy or by law. While consistency and like treatment for like situations is encouraged, the staff is directed to use discretion and judgment in adopting and applying rules and regulations and procedures, with consideration to be given to the individual needs and circumstances of students. Applicability. These policies shall apply to all students enrolled in or attending programs in the District. If a student is taking classes or courses or participating in activities at another institution or district, the student must also abide by the policies, rules and regulations of the other institution or district while participating in such classes, courses or activities.